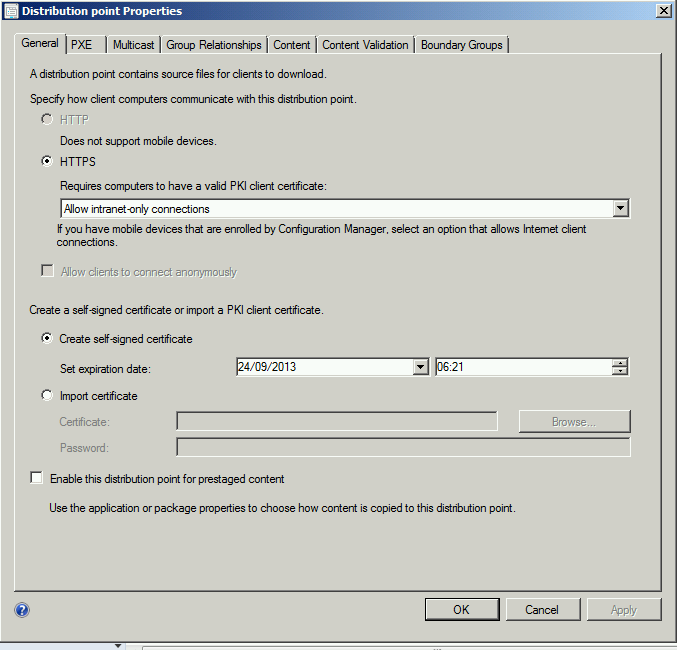 In SCCM there are two main methods (ignoring manual deployment) of pushing out the SCCM client…. The first called “Client Push” does what it says, you supply SCCM with an account that has local admin rights on the endpoint and SCCM then tries to access the Admin$ share to upload it’s client and then triggers a remote install using WMI. This method can be very messy as you have to have an account that has local admin rights on each pc, you also need to make sure you have a bunch of ports open on any firewalls between your SCCM server and the client (for CIFS and WMI). If any of these factors are out, or the remote machine is turned off when SCCM tries to install, you can end up getting heap of error messages in your SCCM logs that will ultimately show your hierarchy as being unhealthy. Alternatively SCCM allows you to deploy it’s client using WSUS… this method is much easier and simpler to achieve in an AD domain environment & really if your planning on using SCCM to control patching for your organisation is the only choice you should consider. 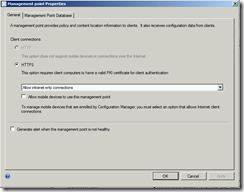 It works using the instance of WSUS that you need to make SCCM do patch management (As you may or may not know SCCM uses WSUS as a “filter” to talk to Microsoft to get it’s information about patches. Also when doing client side patching the SCCM client agent uses WSUS to figure out what patches it’s missing). When you enable “Software update client install” SCCM talks to the WSUS instance you have configured and then injects it’s client as a legitimate update. This then means that any client that is configured to use your SCCM WSUS instance checks in and is then told that it’s missing the SCCM client and starts installing. 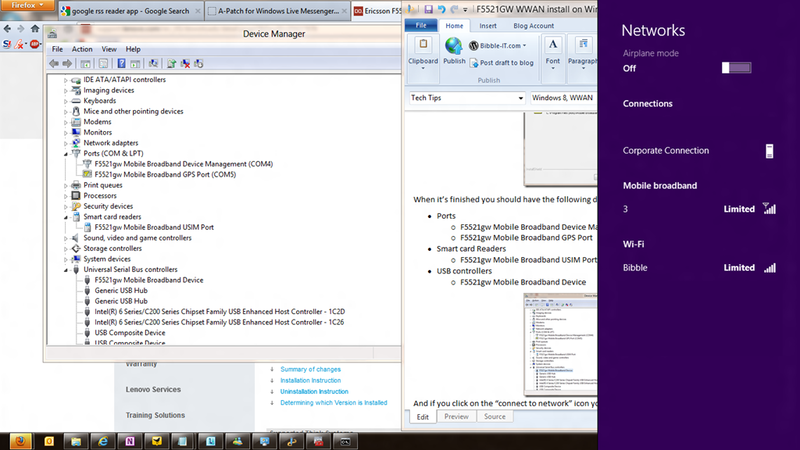 No faffing about with access rights or firewall ports as built in OS components for deploying patches are used. 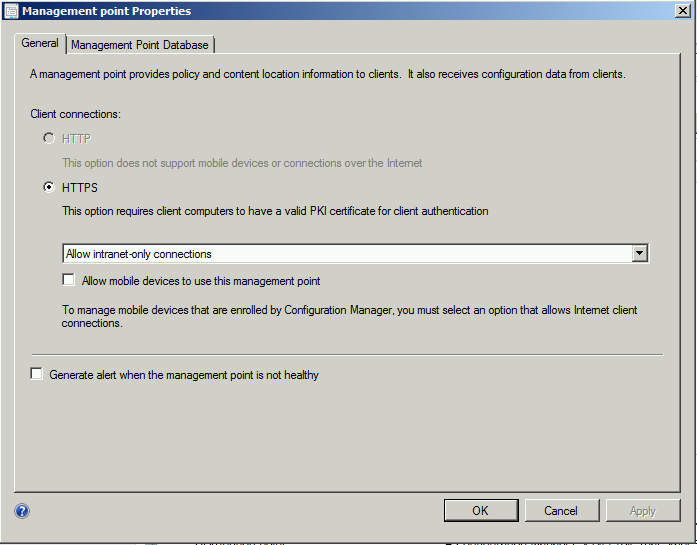 To make things even better you can easily control the required client settings using a Group Policy Object (GPO). Additionally using a GPO you can easily control your deployment by applying it selectively against your OU’s or with WMI filtering to target it. So it looked like the client could find the DP, was trying to talk to it but because I was running HTTPS only mode, the DP was requesting the client present a valid certificate. The client had a valid certificate but didn’t think”that it was allowed to use it… – pretty useless! 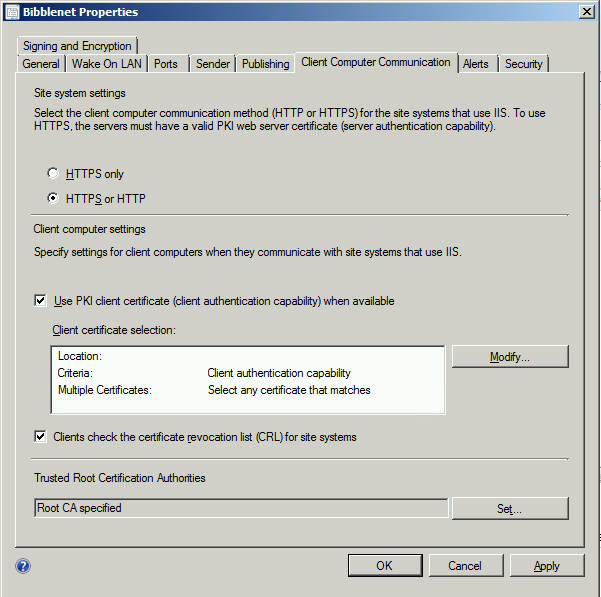 I did some experiments and found that if I changed the setting in SCCM to allow either “HTTP or HTTPS” then the client would install itself correctly (and do so using HTTPS!). This meant that I didn’t have an issue with certificates or my PKI in-general. This confirmed my suspicions that the client simply wasn’t authorising itself to use it’s certificate. The crucial bit seemed to be the value of CCMHTTPSTATE. This tied in with some forum posts (for SCCM 2007) that I’d found where they talked about needing to set the value to 63 for an install to work in certain circumstances. I did some testing and found that if I forced this value via a GPO then the installation would proceed and work as expected. 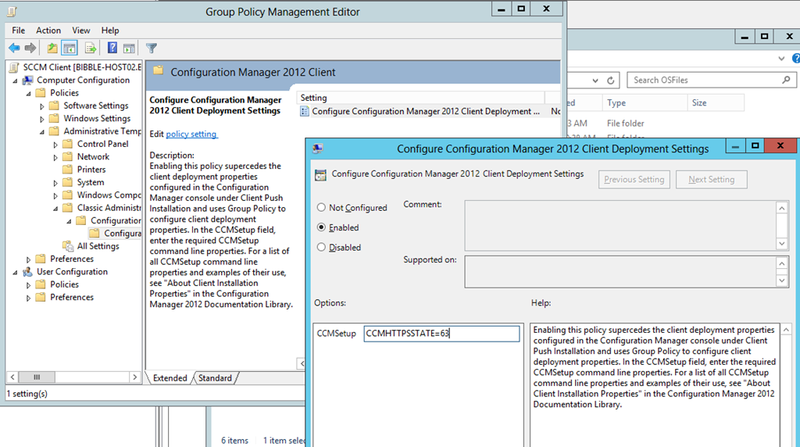 Simply add the SCCM 2012 ConfigMgrInstallation.adm (what’s with MS not adopting their own ADMX standard?!) 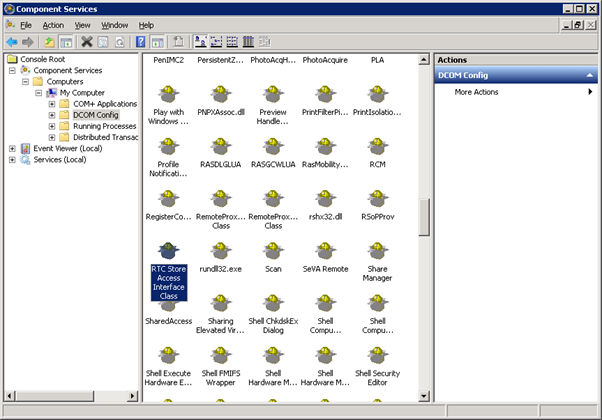 from the SCCM DVD (<CD>\SMSSETUP\TOOLS\ConfigMfrADMTemplates) and then add the value “CCMHTTPSSTATE=63”. 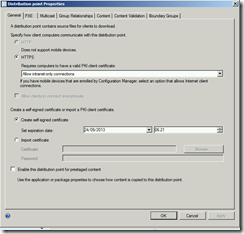 This will make SCCM inject your value into the install string as installation runs. 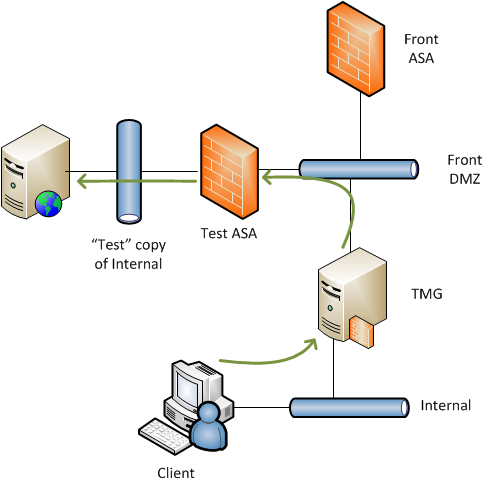 Alternatively if you don’t want to mess about any more with GPO’s (this method was my choice – don’t want to force too much config onto the clients vai GPO when it should be automatic) then you can leave HTTP/HTTPS enabled on your primary site server but then force HTTPS for all your Management Points and Distribution Points. This was my preference for a workaround until MS produce a patch for the issue (honestly how did this not get detected in beta or TAP? 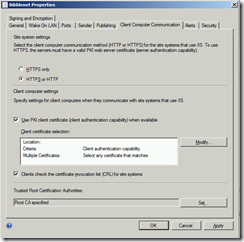 It’s quite basic functionality – Enable HTTPS, deploy client from WSUS). Dude thank you so much. Was struggling with client deployment for a few hours and this was the fix. Been tearing my hair out the past day or so trying to get this resolved!! Soon as I made the HTTPS to HTTP/HTTPS changes it all started working again!